My love affair with tea has been such a longstanding one that I feel like it's more of a marriage now. I have two cupboards in my kitchen dedicated to just tea in all its forms and guises; from artisan loose leaf blends and organic unbleached bags, to fancy pyramid 'temples' and good old standard, supermarket buys. 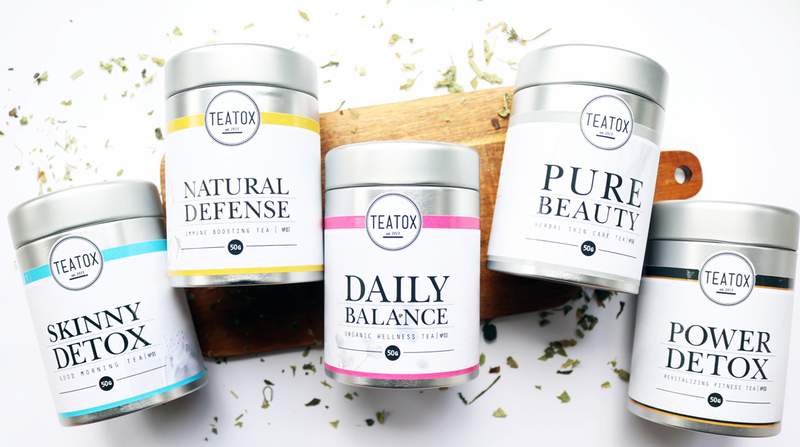 However, I'm always on the hunt to try out new teas and my latest discoveries are from Teatox, a German brand from Berlin, that prides itself on high-quality, loose leaf blends made from certified organic natural ingredients. Their blends have been designed to be beneficial for the mind, body and soul, and they have a wide variety available including Matcha and ceremonial tea sets. 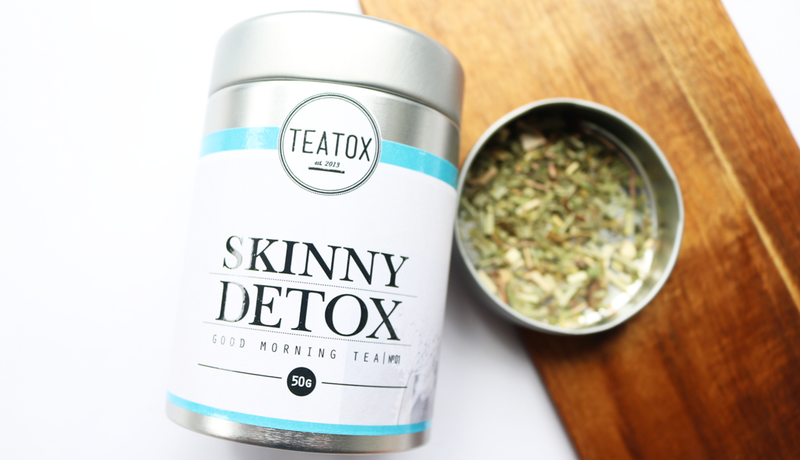 All of the Teatox teas have similar brewing times of around 3-5 minutes, with the exception of the Skinny Detox blend which takes a little longer at 5-7 minutes, and as with most high-quality loose leaf tea blends, you only need to use a teaspoon per cup to get a really flavorful cuppa. 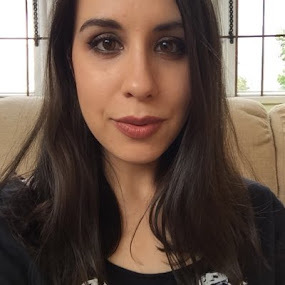 I've had the pleasure of trying out five of their teas over the past month and each one has a different benefit and flavour as you'll find out below. 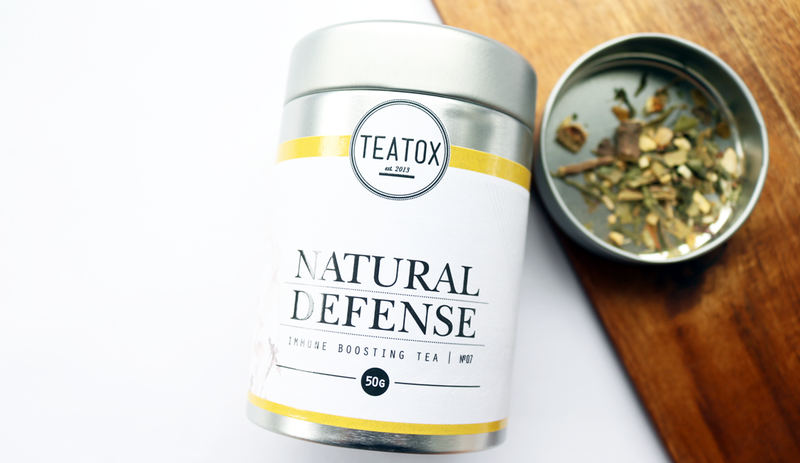 I'm quite sceptical of 'detoxing' teas, but I have to say that this one was lovely and it's something that you can drink every day, not just when you're doing a cleanse or detox. 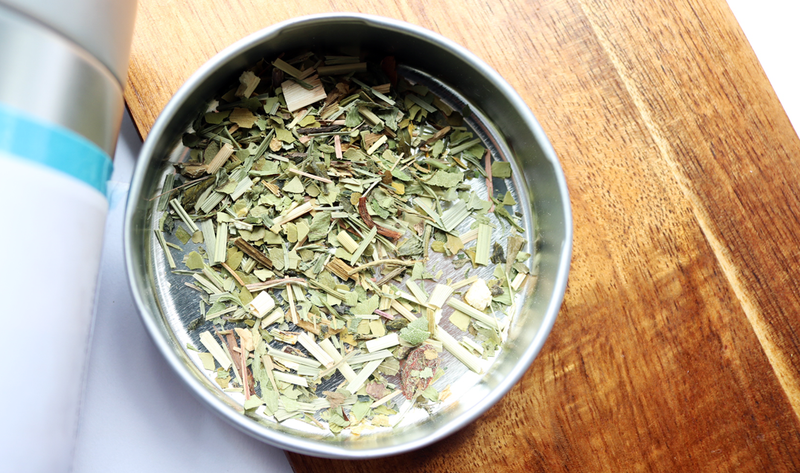 It contains a blend of Lemongrass, Dandelion, Green Mate leaves, Goji Berries, Green Tea Sencha, Ginger Root, Birch leaves, Nettle leaves, Goldenrod and Horsetail which revitalizes the body, helps to kick start your metabolism and improves your energy levels throughout the day. As the name suggests, it's recommended as a morning tea, so to take full advantage of its benefits, brew yourself a cuppa as soon as you wake up or when you have your breakfast. 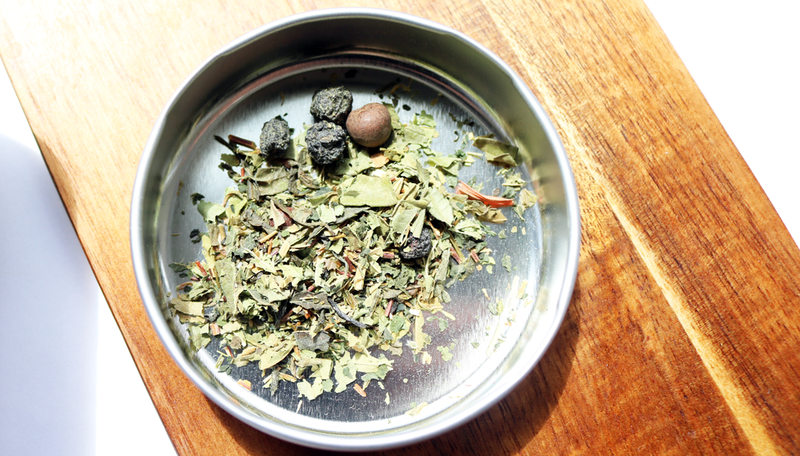 Taste-wise, the Green Tea Sencha comes through quite strongly in this blend so it's a little bitter at first, but the Lemongrass and Ginger Root help to balance it out, plus the Goji Berries give it a nice subtle hint of fruitiness. As I'm one of those people who seems to catch every cold and bug that goes around, I'm always looking for ways that I can boost my immune system, so naturally I was very intrigued to try this one. Comprised of Ginger Root, Green Tea Sencha, Cranberries, Licorice Root, Lemon Peel, Lemon Myrtle, Blackberry, Pomegranate Peel and Echinacea, this tea is packed full of vitamins and minerals, including essential Vitamin C. The addition of Echinacea to the blend further helps the body to fight off colds, making this tea a must-have for when cold and flu season comes around again. This one's very refreshing and fruity, with a mellow base of Green Tea and a hint of aniseed coming from the Licorice Root. I really like it! 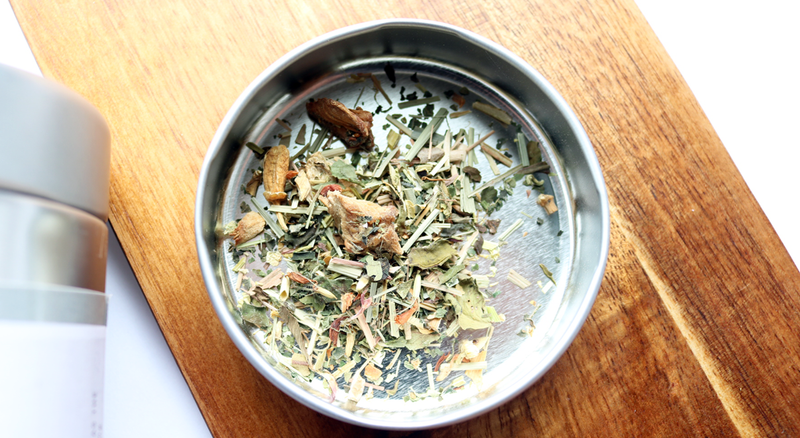 This Daily Balance tea is an excellent all round wellness blend that you can enjoy at any time of the day. 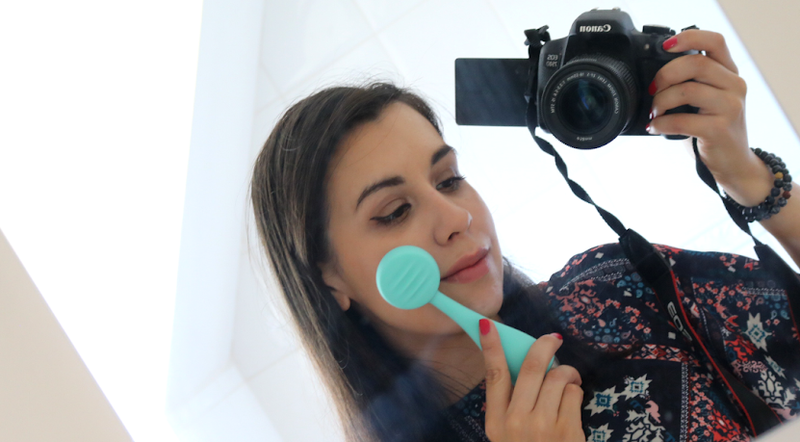 It's been designed to create balance between the mind, body and soul, so it comes in useful when I'm feeling stressed or anxious. 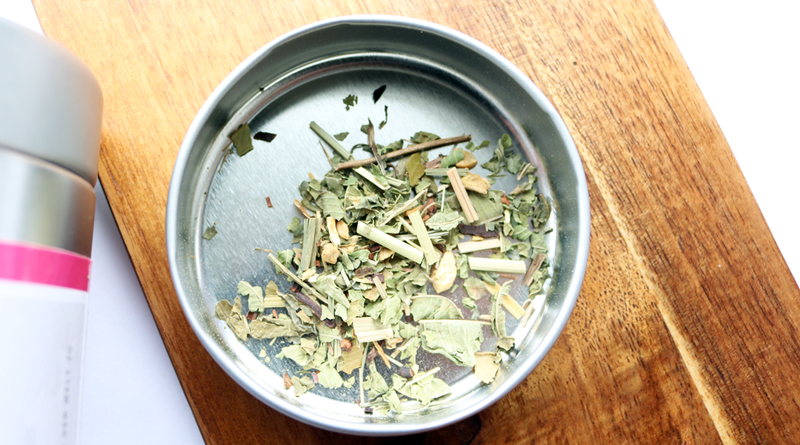 Made from just five natural organic ingredients; Verbena, Ginger Root, Honey Bush, Lemongrass and Lemon Myrtle Leaves, this tea helps to promote calm by relaxing the nerves, and it gives you an overall sense of relaxation without making you feel sleepy so that you can still get on with your work and finish what you need to do. What does it take like? 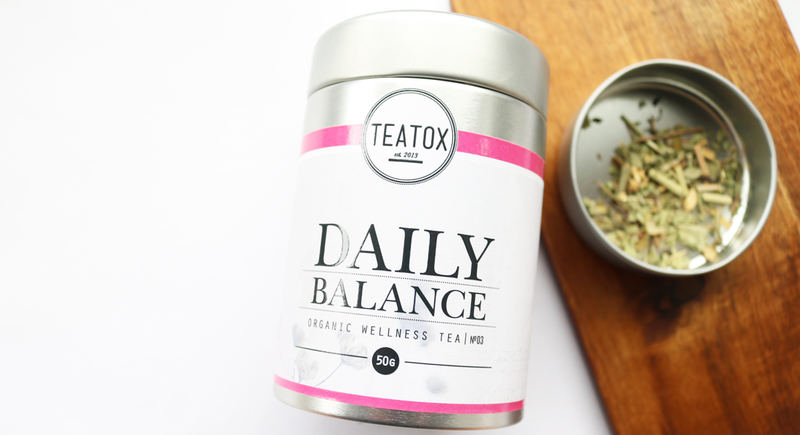 Daily Balance has a very delicate herbal-meets-fruit flavour, landing somewhere between the two. There are some lovely Ginger and Lemon notes in this one. 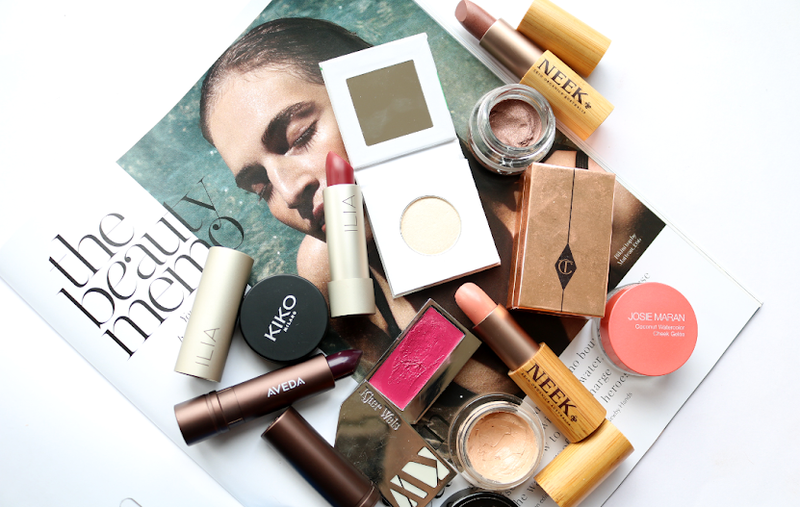 We all know that to get truly flawless, glowing skin, we need to pay more attention to what we put into our bodies than what we apply on just the surface. 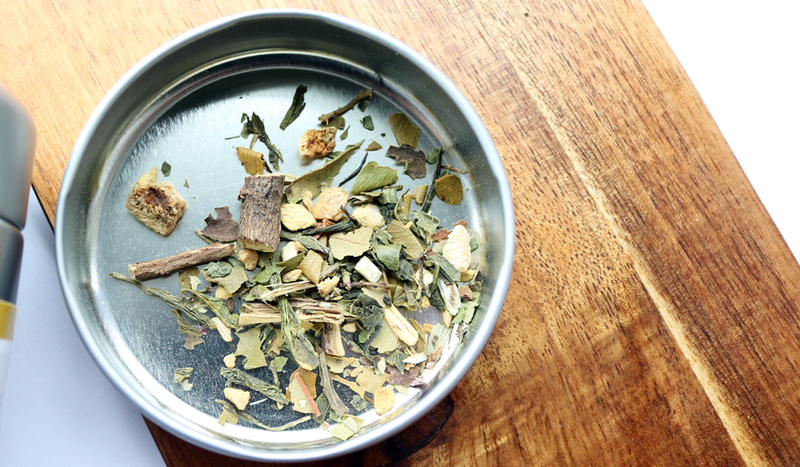 This tea features a blend of White Tea, Pineapple, Lemongrass, Ginger Root, Heartsease, Orange Blossoms, Olive Leaves, Burdock Root, and Chamomile Blossoms, making it rich in antioxidants to purify the skin from the inside out. 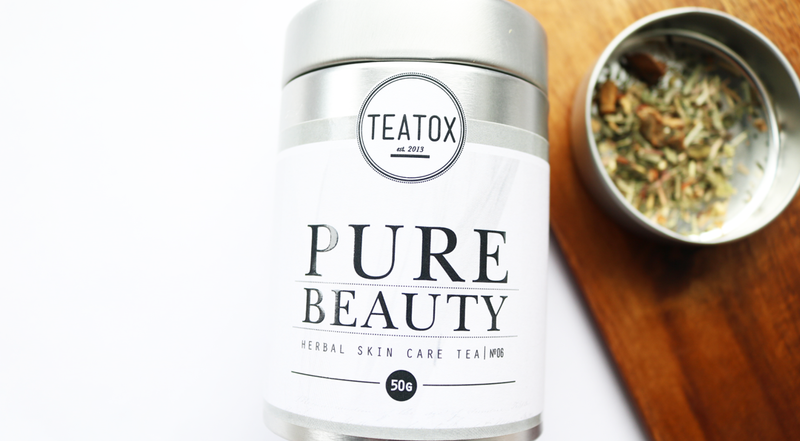 White Tea and Olive Leaves are particularly beneficial as they have natural properties which have a gentle and protective effect on the skin, and we all know about the benefits of drinking more water! I was expecting this tea to taste more fruity because of the Pineapple content, but it's actually much more mellow and herbal, with the White Tea being the most dominant flavour. Whether you're a regular gym goer, or simply lead a busy lifestyle, this Power Detox tea is perfect for anyone who needs a real energy boost! 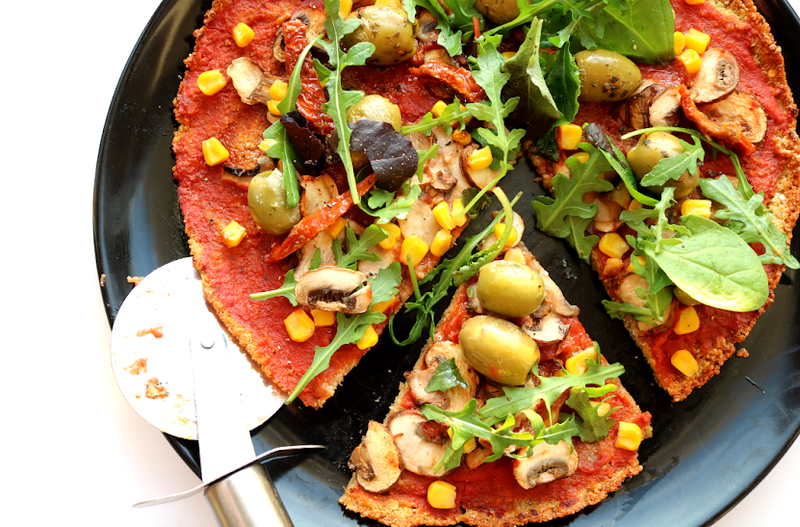 It's been specially formulated to get you back on track after a long stressful week, or if you've been burning the candle at both ends and need to re-focus on your goals, whatever they may be. 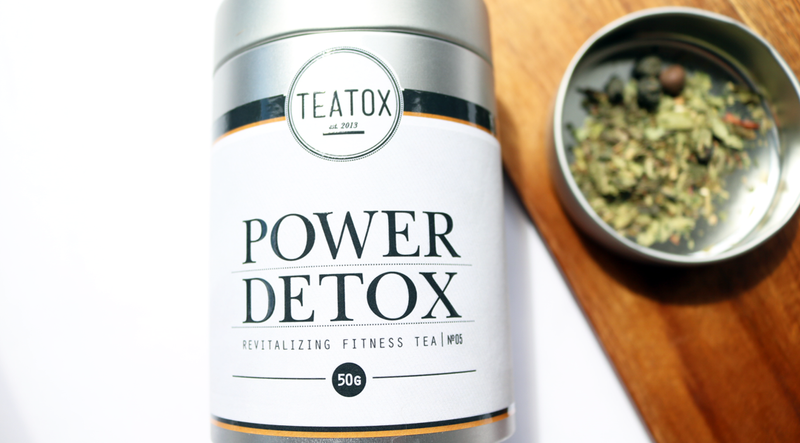 Power Detox contains a naturally stimulating blend of Lemon Verbena, Green Rooibos, Sencha Green Tea Guarana, Aronia Berries, Nettle Leaves, Cardamom and Cayenne Pepper, to help the body get rid of toxins, and it boosts your metabolism and energy levels at the same time. Try drinking a cup before your workout to improve your stamina or use it to fight the dreaded afternoon slump at work. A little bitter with a strong Green Tea herbal base, plus some interesting spicy notes coming from the Aronia Berries and Cayenne Pepper. It took me a little while to warm to it at first, but the more I drank it, the more I liked it! Teatox Organic Teas are available in the UK from LoveLula.com who offer worldwide shipping.